Autumn brings more than pumpkin spice lattes! Here in Marion, it brings plenty of new entertainment and, yes, delicious fall foods. Whether your passion is music, food or outdoor recreation, there is plenty to keep you busy this season. Sloppy, gloppy and downright entertaining — it’s the Fall Truck Mud Bog! Head to the Paw Paw Fairgrounds in Rivesville for good goopy times! 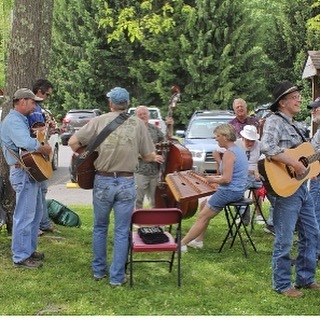 The West Fork New Music Festival comes to Fairmont State University with fantastic performers and instruments in tow. Stay tuned – get it? – for free concerts by the internationally renowned Great Noise Ensemble! It’s also your chance to meet — and touch — Steinway and Sons’ marvelous creation, The Model D Concert Grand Piano. A new season brings new flavors! (No, we’re not talking about pumpkin spice. Well, not yet.) Visit the Fairmont Farmers’ Market on Tuesdays and Thursdays for crisp apples, late summer corn, homemade pies and more! What’s cookin’ at Pricketts Fort? The tang of smoke and brisk air means it’s autumn at Fairmont’s fortress. Visit on Wednesdays to learn, watch and smell colonial style hearth cooking. As a special bonus, discover the steps that go into making soap. Skip the long lines and combine the best of both worlds. Palatine Park’s free summer flick for September is ‘A Dog’s Purpose.’ Bring your picnic blankets, but don’t worry about the popcorn – it’ll be there. Will you? Calling all disc golfers! Try your skills at Morris Park and see who’s the best of the best! The Seth Burton Memorial Disc Golf Tournament is fun to play and fun to watch (for all those athletic adjacent folks). Palatine Park isn’t just for outdoor movies, but outdoor fun! The Blissful Yoga Festival is all about getting out and getting active. 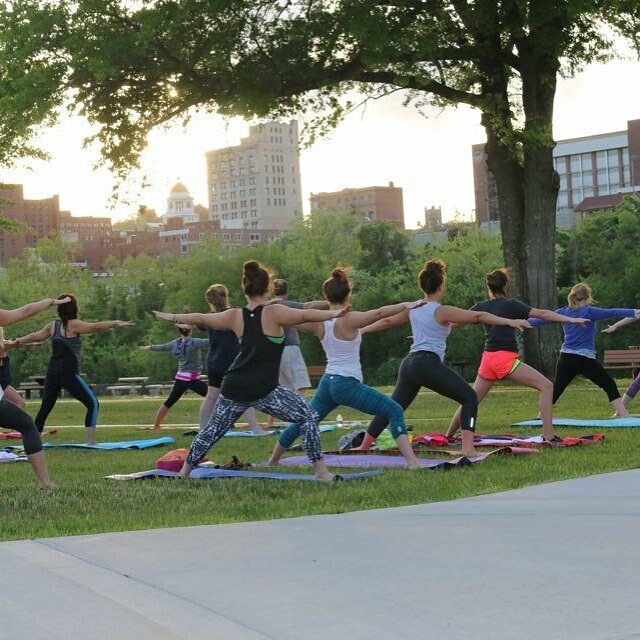 Yoga, aerial yoga, stand up paddle boarding plus live music, fun for kids, shopping and healthy snacks – has there ever been so much to do in one place at one time?! Spend a day at the Fort Sept. 15 for Traditional Music Day. It’ll be one for the books! Live performances in the amphitheater and impromptu jam sessions in the park make for quite the experience! Ease into autumnal weekend fun with Sagebrush Round-Up. The family-friendly venue in Fairmont always has delicious country cuisine and a talented lineup. Music is better with beer! So check out The Rambling Root, Short Story Brewing and Joe n Throw because their performances are always served on tap! What’s the best part of autumn in Marion?